Why odd-even policy will fail in Delhi ? Indian population has been brought up on such a steady diet of government intervention and socialism that feel-good but ineffective policies are not only passed unopposed but actually appreciated widely. Odd-even car rationing system is one such law which is hailed blindly not only by Aaptards but also by some serious economists! Here is another long but inconclusive study by IIT. But there are serious issues with any policy evaluation study. The biggest problem usually faced under such evaluation is to make sure that apples are compared with apples and not with oranges. 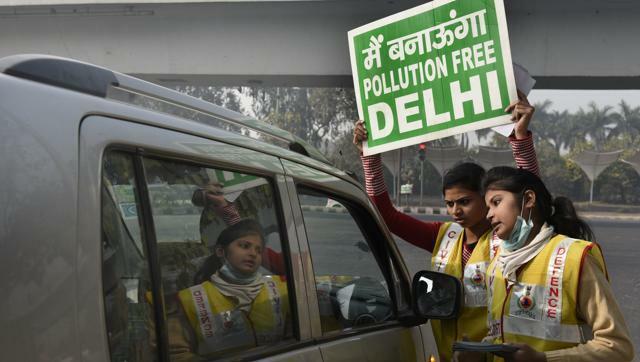 What it means in the case of pollution study is that you need to find a comparative group similar to Delhi 1-15 January 2016 to benchmark performance of odd-even rule? You cannot use the data from last year i.e. 2015 because it was another year and had different weather conditions so it won’t work. The above mentioned Harvard-Chicago study carefully addresses this problem by comparing Delhi’s pollution with Faridabad because the two are geographically pretty close and one implemented odd-even rule while the other did not. The IIT study although more comprehensive does not do well from an empirical perspective. But guess what- while this study does well in the text book sense of evaluating a policy, it comes really short on economics principles. Why? Because it does not take into account the behavioural changes such a policy implementation will induce. Many if not most economic policies can lead to behavioural change and this is what makes any policy evaluation difficult. And what is the behavioural change in this case? It would be captured by pollution reducing measures like car pooling, people using more public transport etc.- the good things that a policy maker would expect. But on the other hand it would also lead to other behavioural changes like buying extra car, switching to two wheelers, etc which would effectively reduce the impact of this policy i.e. increase pollution again. It is the latter which socialism infected brains do not get!! Another important point to notice here is that while the good behavioural changes will happen immediately in the short run because people need some time to adapt to policy change. Also, at least during January the uncertainty about the implementation of this rule ensured that people did not buy new cars immediately for the 15 day period and game the system because they were not sure that government will implement this policy permanently. But once government commits to implement this policy permanently, people will show bad behavioural changes(bad according to policy maker) and buy new cars or find other ways to overcome the system in the long run. Given the fact that behavioural changes will take some time to be adopted, it is foolhardy to even resort to any such policy evaluation studies based on short term. If you read the above studies before going through the whole article- sorry for wasting your time!! So given that these short term evaluation reports can be trashed into junk, the question still remains- should Delhi go forward with the policy or not? Thankfully, the world is full of AAP style Tuglaq governments, which gives us a sneak peak into the results of any such policy. New York city grappled with the same problem in 2007 and evaluated car rationing systems around the world and its impact on pollution levels. Similar systems had been tried and tested in Mexico City, Bogota, Sao Paolo etc and this case study is based on these experiments. Since we know that only long term pollution reduction should matter for evaluation, lets directly jump to the summary of this case study. So, how did the Mexican experiment fair in the end? Well, people were smarter than the government thought and they just bought old vehicles from outside Mexico city, which effectively increased the pollution. In the Indian context, you should expect both purchase of old vehicles and two-wheelers to again increase the pollution levels after a temporary reduction. Out of the transport sector, 4-wheelers contribute 16% to PM 2.5 emissions i.e. 3.6% of total emissions. Even if we say that odd-even policy would lead to 20% drop(which is actually huge and should be taken with a bag of salt) in PM emissions from cars, it would lead to 0.72% of total emission reduction in the long run. So now comes the biggest question that all Delhites need to ask themselves, it is worth buying a new car for 0.7% reduction in PM emissions? Is it worth the total cost that poor middle class families have to pay for buying extra cars, if this policy will only lead to 0.7% reduction in emissions? The bedrock of any policy evaluation exercise is what are the total benefit vs the total losses. All the above mentioned studies, short or long term, look at decrease in pollution levels as the only outcome. But there is welfare loss due to penalties like being forced to use public transport system or buying a new car. It is important to also calculate these efficiency losses for complete welfare evaluation of any policy. Reduction in pollution level should be compared against inconvenience and efficiency loss due to any such policy. But as the saying goes: The road to hell is paved with good intentions. So good intentions do much more harm in the end than one expects. Once accounting for all the pain people have to go through to implement odd-even policy, it seems like one more good intention will go wrong. Sadly, in the last 70 years India has seen enough of these good intentions go haywire. So why not just bear one more! !